Daikon or white radish... its not my favourite vegetable... It has this 'funny' smell and taste. 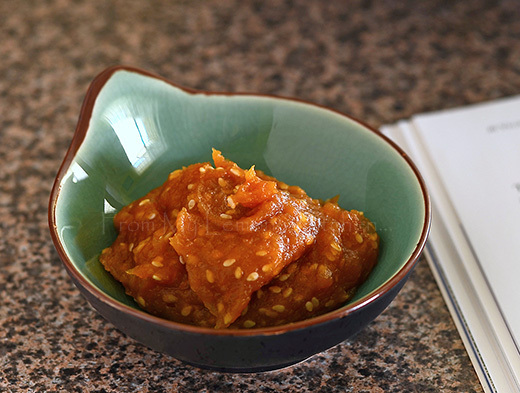 I thought of giving it a second chance... with this recipe (adapted from a Japanese cookbook). Wrap the rice grains in muslin cloth and tie it with strings... to resemble bouquet garni... leave some room for expansion. 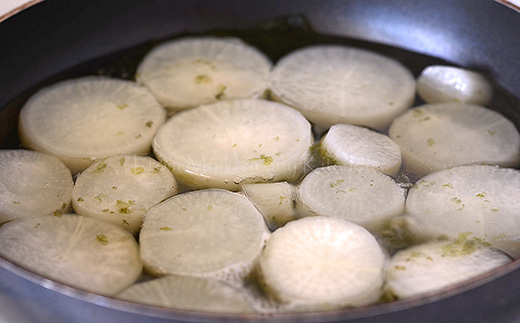 Place cut-up Daikon in a saucepan fill with water. Add the rice bag with salt. Bring to boil and simmer for 15 minutes. The rice is to keep the daikon white while cooking and to remove bitterness. Discard the rice bag... and drain. 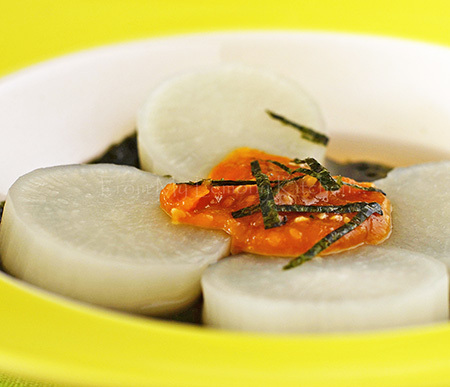 Place the nori sheet on a shallow pan and place the daikon on top.Bring to boil and simmer for another 20 minutes. Strain and reserve the stock. Mix everything in a saucepan and simmer for 5 minutes. Add a bit of water if it becomes to thick. Remove from heat and add sesame seeds. A really commendable achievement! Congrats! First congratulations on your 2 years :-) The miso sauce looks delicious, love it with daikon...great photos as well. I was hooked on Mills n boon too but not until I finished school. In school I loved reading teen romantic comic. Lupa lak namanya. Instead of caricature or painted picture, it feature real people.